Spring weddings in New Jersey can be some of the most gorgeous. The beautiful cherry blossom trees, budding flowers, lush green grass, and idealistic temperatures make it perfect for both indoor and outdoor ceremonies. If you’re planning a spring wedding, you can use the color schemes of the season to choose the right combinations for your wedding attire and decor. To give you some inspiration, we have gathered some of the most breathtaking spring weddings and color schemes from the Atlantis Ballroom, Toms River, NJ. This couple who was married at the Atlantis Ballroom decided to use the sky as their inspiration and main color for an amazing spring wedding. 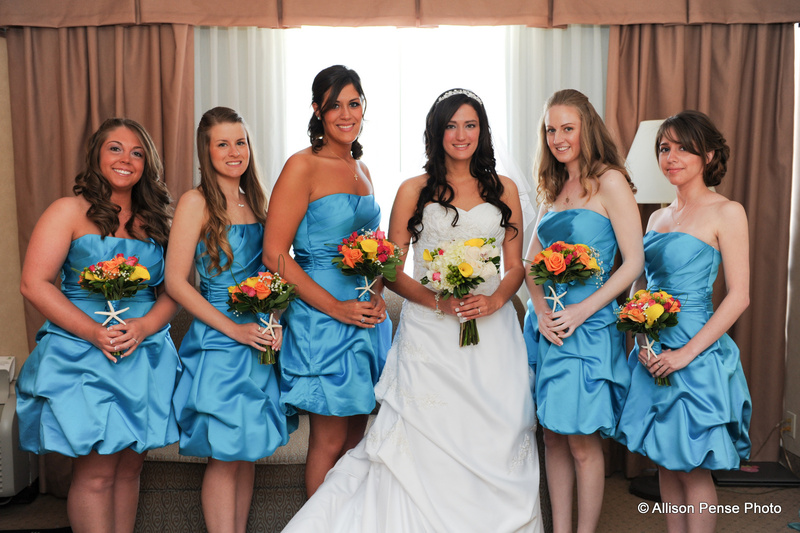 The bridesmaids all draped in short, sky blue dresses paired with the vibrant white of the bride’s dress make a great combination. To add a few more elements of spring, they incorporated colorful bouquets with seasonal flowers. You can never go wrong with shades of pink for a spring wedding. 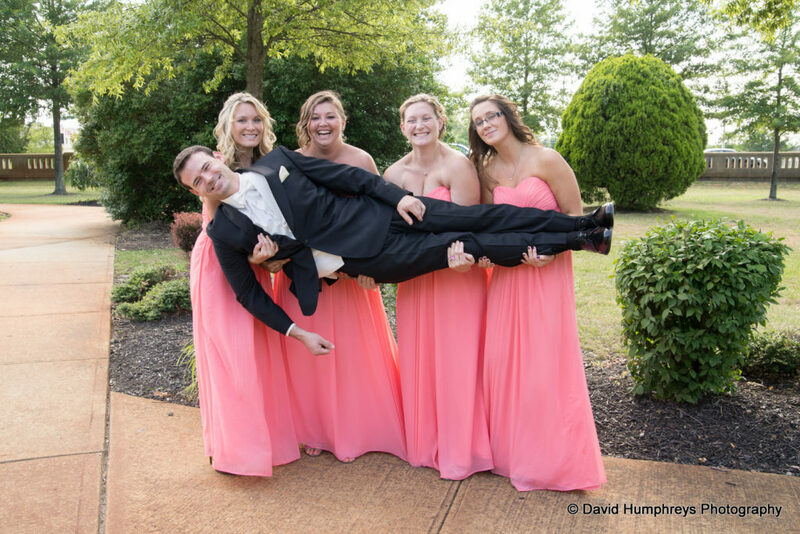 This bride chose a very vibrant pink for the long and flowing gowns for her bridesmaids while the groomsmen kept it pretty traditional with black suits, white shirts, and ties. On a bright sunny spring day, yellow or spring green can be a beautiful color to add to your wedding theme. 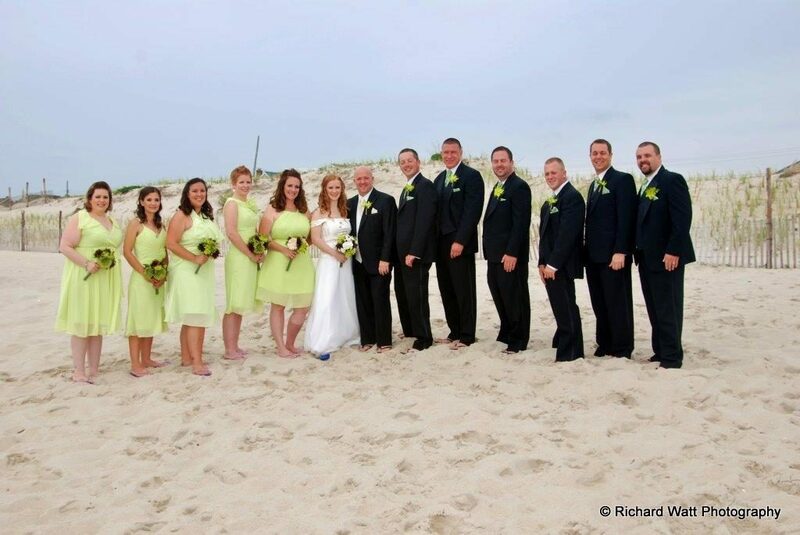 This couple, married early June at a Jersey beach decided to use the a punchy spring green hue. 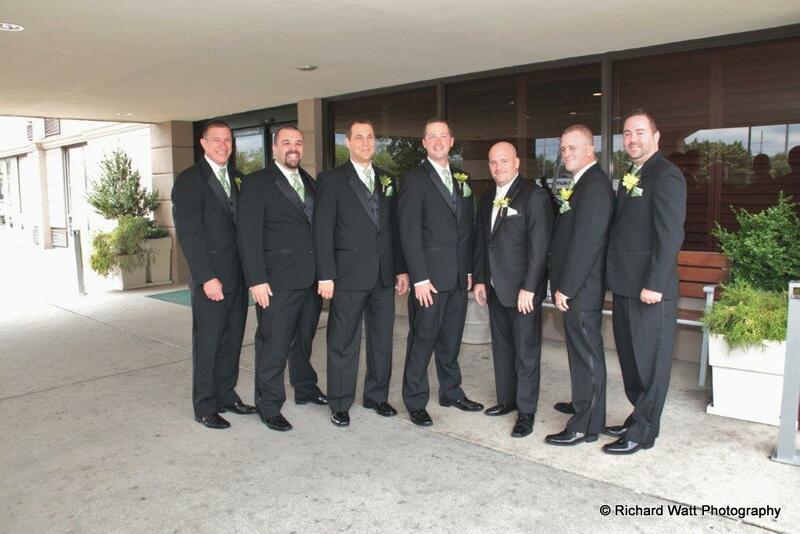 The bridesmaids wore short, flowing, soft green gowns with matching bouquets while the groomsmen had hints of yellow and green in their ties, handkerchiefs, and boutonnieres. 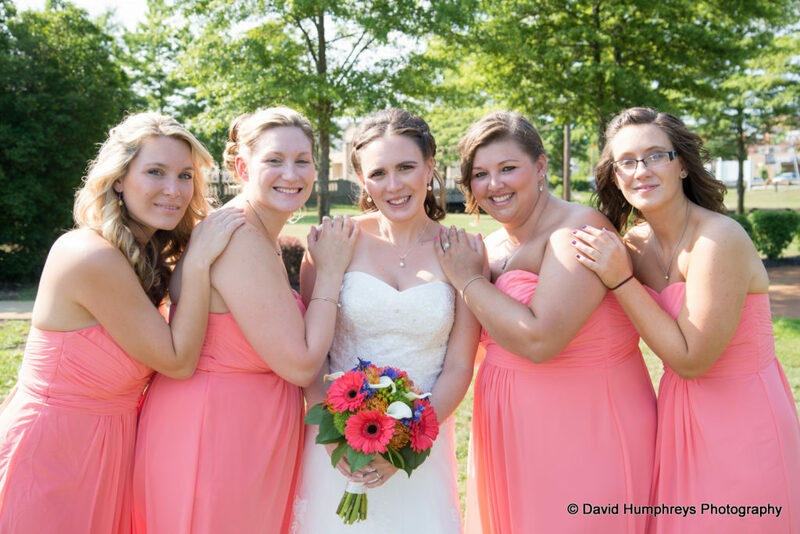 Soft pastels always make a great color combination for spring weddings. Lavender and lilac are very popular colors for this time of year and look great in photographs. This couple chose two spring colors adding lavender for the bridesmaid dresses and groomsmen ties and complimented it with vibrant yellow bouquets. The colors of spring are plentiful and great to draw from for inspiration. Whether you choose the clear blue skies, the yellow sun, or pastels like soft pink, lavender, lilac, and mint green, they will be perfect for your wedding day. 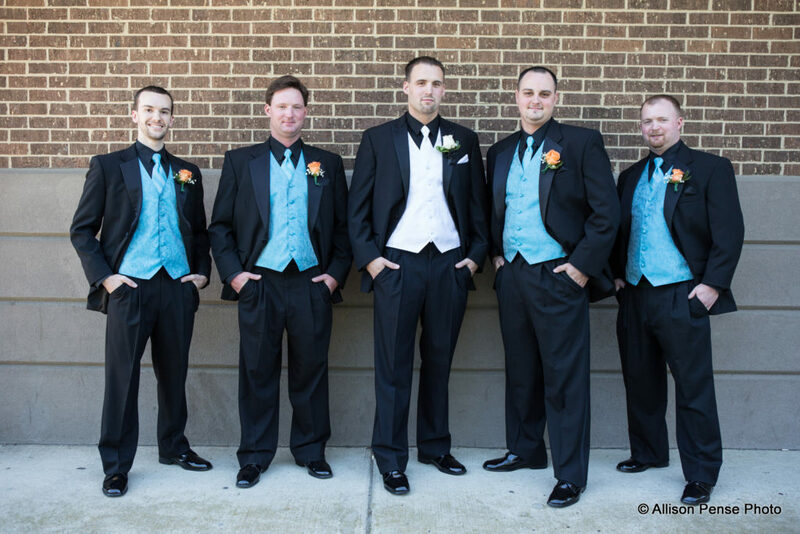 Hopefully, these wedding photos from Atlantis Ballroom gave you some great options to choose from. Happy planning!